Get brash in your style of dress shirts with the boldness of Steven Land Cotton Dress Shirts. Steven Land is the go to name brand for men who favor their menswear with flavor and attitude. 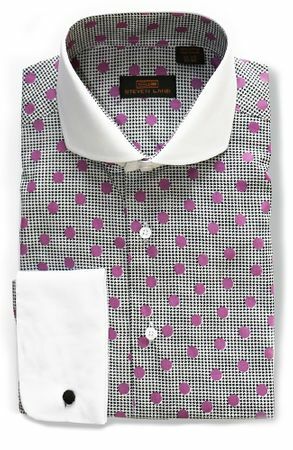 This purple color polka dot french cuff dress shirt is all cotton and a prime example of the style that makes Steven Land famous.